Okay blog family! 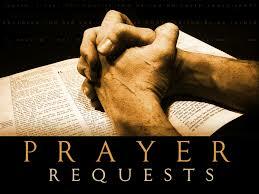 Let’s pray for the victims of the recent storms in Oklahoma and other areas. Father, we intercede on behalf of everyone affected by these storms. Bless, keep, protect, and comfort each and every one of them. Father, meet every need, and I pray for the safety of every missing person. Let every grieving family know of your love in a special way. Bind the hand and voice of the enemy so they can hear you clearly. Help and strengthen every person helping in the search, support, treatment, and cleanup effort. Give every one of them peace in the midst of the storm they are currently experiencing! Stir up the spirit of prayer in all of your people on their behalf. Thank you, In Jesus’ Name…Amen! Reblogged this on I-Challenge You. Thank you for doing this–joining my prayers with y’all. Amen and thank you as well! Only God can help their spirits after such a horrific storm. I stand in agreement with you and others in your prayer. Amen, Amen, and Amen! Thank you Jesus, and thank you Pastor. We know when prayers go up blessings come down. You’re welcome Pastor…thank you as well! My daughter and son in law went to college in nearby Norman, OK. They live further north now, but they still have friends who live in the area. Their friends were spared their lives, but they are unsure if they have homes. It is a truly devastating situation. The people of OK believe in the power of prayer. Thanks for lifting them up. You’re certainly welcome! I’m believing God for triumph out of tragedy! Blessings to you and yours! Reblogged this on Its All His Anyway.